You all are NOT going to believe this. DayQuil has 93 calories per dose! I was entering my calories on Sparkpeople, and someone had it entered as zero. I knew that couldn’t be right, so I Googled it. All sources say it’s 93 calories! How is that okay?! Poor sick me just wants to feel better, and a shot of DayQuil is almost the same as a shot of vodka! 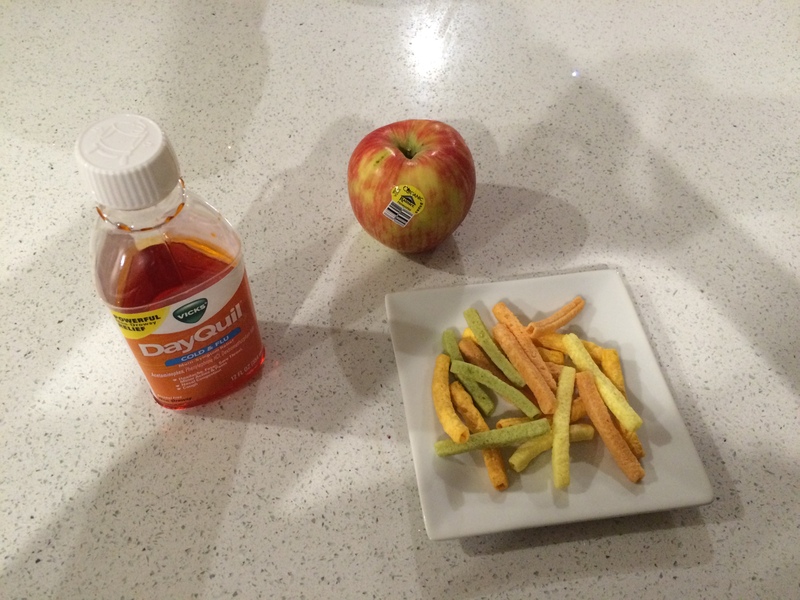 I have pictured to the right two snacks that have fewer calories than a dose of DayQuil. Yikes! I would switch to the capsules, but they are gelatin which is not vegetarian. Does anyone have any awesome alternatives for me? This is insanity. Beware of the DayQuil conspiracy!